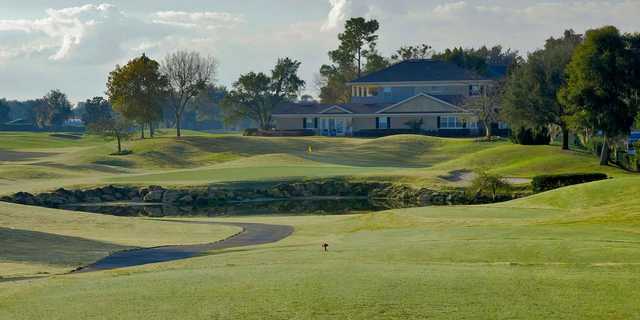 A view from tee #7 at Charger from Bay Hill Club & Lodge. 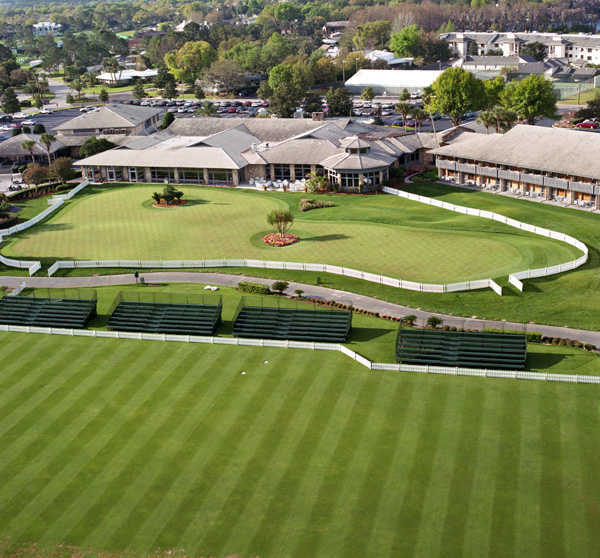 The Bay Hill Club & Lodge is owned by golf legend, Arnold Palmer. Palmer first played the courses at Bay Hill in 1965 and was so smitten with them that he bought Bay Hill in 1976. It is said that he still frequently plays the courses. Located on the shores of the Butler Chain of Lakes, the courses at Bay Hill provide a challenging game as well as beautiful scenery. Although the course is not technically hilly there are still some elevation changes. The Charger Course features many bunkers and also a layout of mounding that Palmer designed. Placid lakes also come into play on many holes. Golf school / golf academy: Yes - "Arnold Palmer Golf Academy"